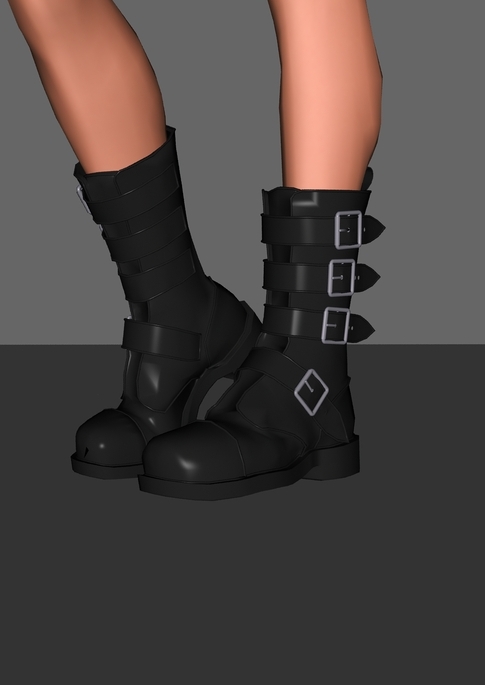 Description: A couple of heavy leather boots with straps and buckles. Originally created by gps (Graham Saw) back in 2002, reposted with permission. Place both the .obj files in this new folder. Put the .cr2 and .rsr files into whichever subdirectory of the Character library you prefer. Use it any way you like. The original mesh can be found in the Poser Freestuff section at Renderosity - do a search for 'Zorbak'.